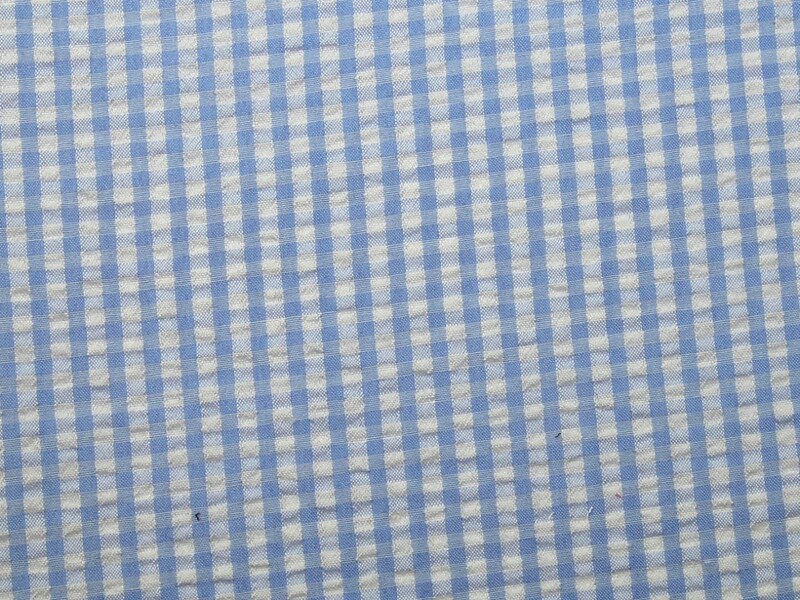 This beautiful quality dressmaking fabric is a lightweight polyester woven seersucker with a trendy 5mm gingham check design that is woven, not printed, into the fabric. It would be ideal for sewing into tops, skirts and dresses. Seersucker fabrics have a lovely crinkled texture which makes them perfect for packing into suitcases for clothes on your summer holidays!